This extremely durable die cast reel is constructed from solid bar-stock aluminum. A powerful center disc drag and one way ball bearing makes this large arbor reel a solid choice. 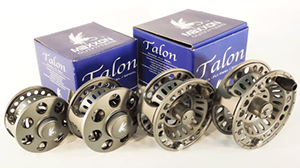 Available in a wide variety of sizes and optional spare spools making this reel an easy choice for serious anglers.